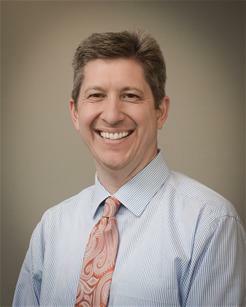 Jeff Zoephel was appointed Village Administrator on June 6, 2013. Prior to his appointment, Jeff served as the Village’s Finance Director since March 12, 2001 and as Acting Village Administrator since April 2012. As the chief administrative and executive officer of the Village, Jeff is responsible for planning, organizing, staffing, coordinating, budgeting and evaluating all local government activities under the direction of the Village President and Board of Trustees. All department heads report to the Village Administrator. Under Jeff’s leadership the past year, the Village performed a feasibility study for a TIF District along the Orchard Road corridor, received a $100,000 grant to update its Comprehensive Plan and decided to join KenCom for dispatch services, a move estimated to save the Village $500,000 annually. Another major accomplishment has been to secure financing and begin work on important improvements to the Boulder Hill water main system. During Jeff's stint as Finance Director, the Village received the Award for Excellence in Financial Reporting from the Government Finance Officers Association for nine consecutive years. Jeff previously served as the Assistant Finance Director in Naperville, the Business Manager for Oswegoland Park District and the Assistant Finance Director for Romeoville. He holds a Bachelor of Arts in Accountancy from North Central College and is a Certified Public Accountant. He lives in Oswego with his wife and three daughters. Debbie Buchanan has served as the Executive Assistant for the Village President and Village Administrator since July 2000. She also handles communication for the Village, including the Village newsletter, press releases, social media and website, and coordinates many Village events, such as Montgomery Fest, the Tree Lighting Ceremony, Concerts in the Park and the annual Cemetery Walk. She serves as staff liaison to the Historic Preservation Commission, and in that role was instrumental in obtaining grants and managing the restoration of Settler's Cottage as a museum. She has also served as Deputy Village Clerk since October 2012, and as such maintains the Village's official documents and records and responds to requests for information from the public. 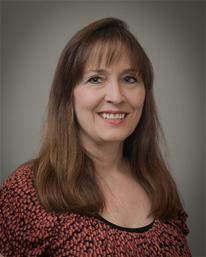 Debbie has an associate degree from Brigham Young University and is an accredited genealogist. She and her family are proud to be Montgomery residents.